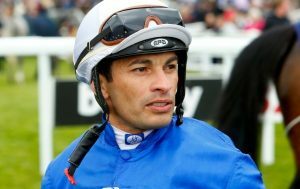 Nowadays, Brazilian-born jockey Silvestre De Sousa is familiar to British racegoers, having won the Stobart Flat Jockeys’ Championship in 2015, 2017 and 2018 and finished runner-up to Jim Crowley in 2016. A graduate of the racing academy in Sao Paolo, De Sousa was champion apprentice in his native country in 2000, but lost his claim and broke his arm shortly afterwards. After an enforced spell on the sidelines, he found rides harder to come by and, in February, 2004, left Brazil, along with five of his countrymen, to join Irish trainer Dermot Weld. However, in nearly three years in Co. Kildare, promised rides failed to materialise and, following a chance meeting with the late David ‘Dandy’ Nicholls at the Curragh, De Sousa opted to join the erstwhile ‘Sprint King’ at his yard in North Yorkshire. De Sousa rode his first winner in Britain, Sonic Anthem, in a lowly median auction maiden stakes race, at Southwell on New Year’s Day, 2006. The Nicholls-trained four-year-old won by 16 lengths and De Sousa later described the experience as “like being on Frankel”. By the end of the 2006 season, De Sousa had ridden 27 winners but, with Nicholls employing his son, Adrian, as stable jockey, he was picking only a few ‘spare’ rides for the yard. Consequently, on the advice of Nicholls Snr., he became a freelance jockey, riding 21, 35 and 68 winners, respectively, in the next three seasons. In 2010, De Sousa rode exactly 100 winners, many of them for unfashionable trainers, at long odds and, in so doing attracted the attention of Middleham trainer Mark Johnston. In fact, it was Johnston who provided him with his first Royal Ascot winner, Namibian, in the Queen’s Vase in 2011. That season, De Sousa rode 167 winners and failed, by just four, to overhaul Paul Hanagan in the race for the jockeys’ title. Shortly afterwards, he became a retained jockey with Goldolphin, an association that would yield his first domestic Group 1 winner, Farhh, in the Lockinge Stakes at Newbury in 2013 and the biggest win of his career, African Story, in the Dubai World Cup – worth £3.6 million to the winner – in 2014. However, despite finishing second and third in the jockeys’ championship in 2012 and 2013, respectively, both times behind Richard Hughes, he lost his job with Godolphin after three years. Nevertheless, he bounced back, winning the jockeys’ title – revamped to exclude any winners ridden before May 2 or after October 17 – in 2015, with 155 winners. The rest, as they say, is history.